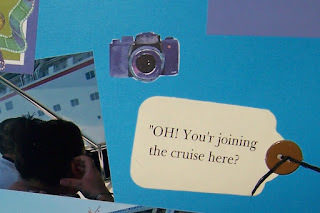 Let's Cruise --- Join us at Justascrappin' weekly Challenge for Nov. 29, 2012. 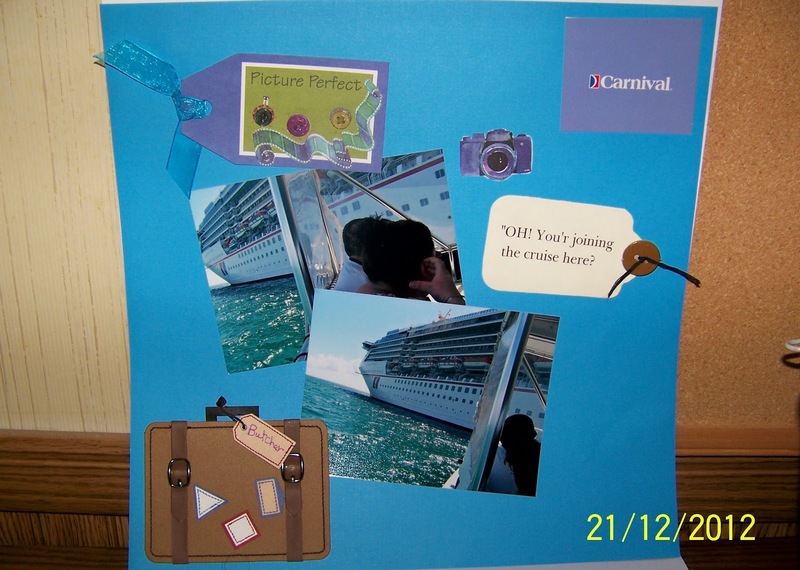 Make a card, LO or 3D project about Vacation or Travel. Use 3 buttons and at least 1 ribbon. I used a Cruise Vacation from 2007! 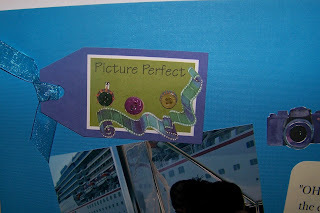 On this LO I used Cricut Cartridge Art Philosophy Tags for both embellishing and journeying. 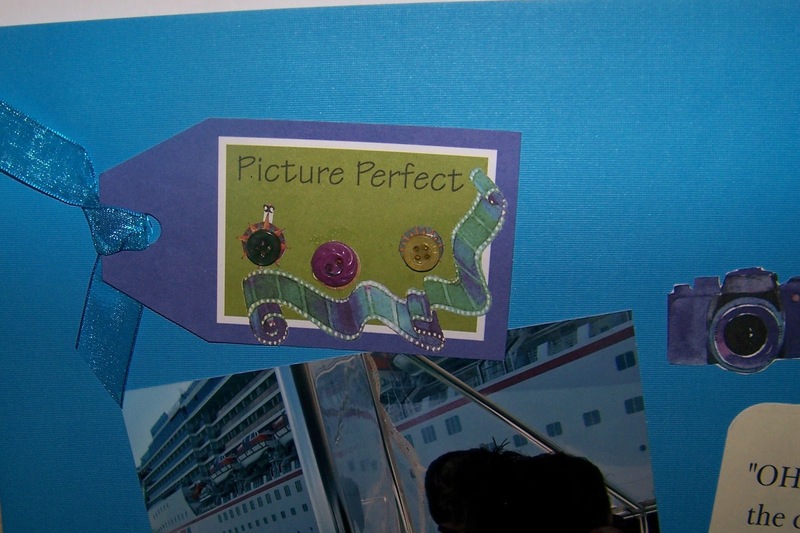 Using <tag2> at 2 1/2 inches I cut it out in purple added green sticker, 3 buttons and blue ribbon. Here I used <tag3> at 3 1/2 inches in white, added the letters and button with thread for the last touch. Join us at Justascrappin' weekly Challenge for project about Vacation or Travel you could win some blog candy!